Twice baked! 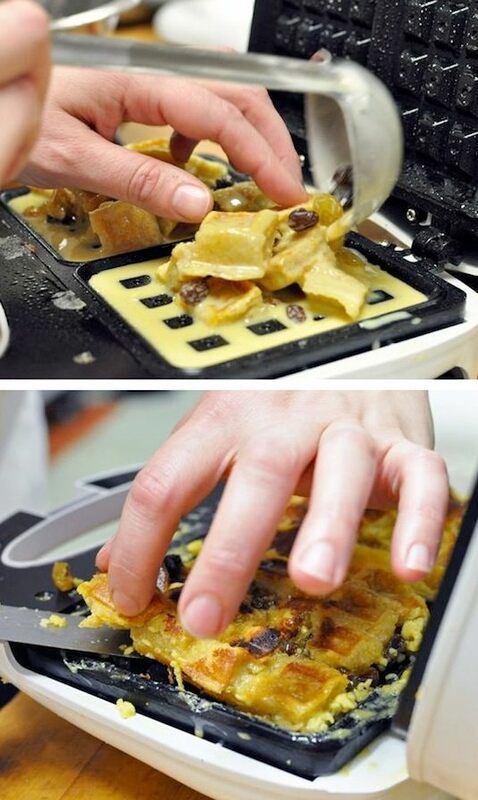 So basically, you’re going to make waffles, cut them into pieces, and then bake them again in your waffle iron soaked in a delicious custard. Now we’re getting creative! 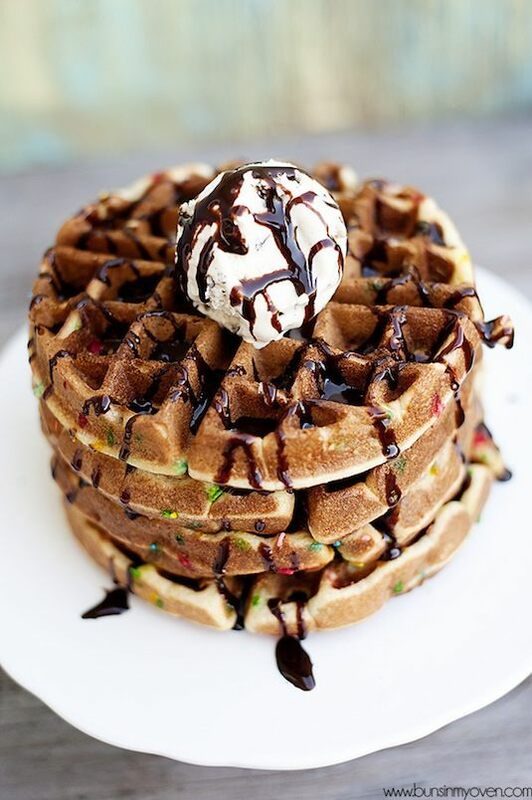 We might as well finish off with a waffled confetti cake. This would work with just about any boxed cake or muffin mix, too. I think I’ve found a new appreciation for my waffler iron. How about you?